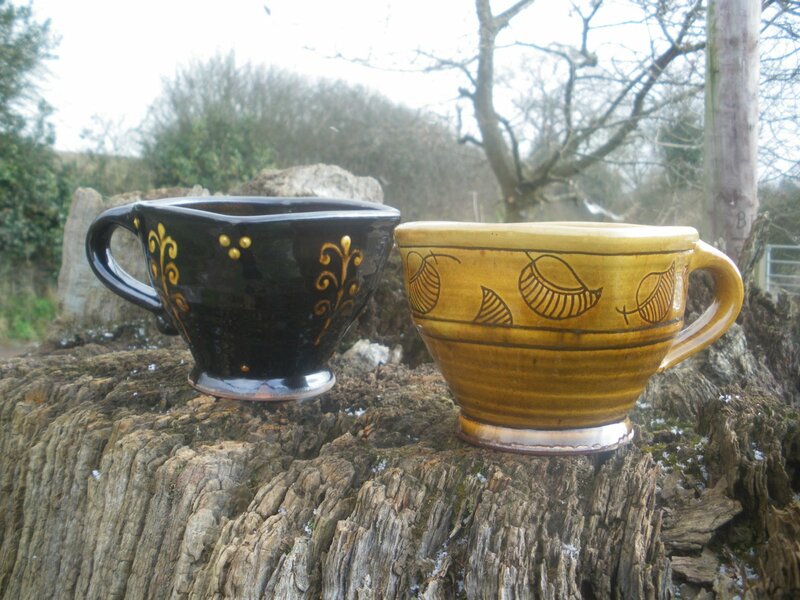 A couple of my pots with some gorgeous galena on them. Hand much better, still sore and throwing is out of the question still but the infection is being banished as we speak. Had it checked again today, second opinion feel much more reassured now. This entry was posted in galena, sore hand. Bookmark the permalink. Glad the hand is better Hannah. Pots look great. Hey, what’s the kiln plan, are you going to rebuild it back like the original? After lurking on your blog for a long while, I have to ask: How are you able to work with lead/galena glazes in the UK? I would have figured they would see that as a lawsuit waiting to happen? Why is this not the case? Suffice to say, your work would DEFINITELY not be the same without the galena glaze. That rich honey color is just AWESOME. Hi Alex,To be honest with regard to galena I’m not right sure, there are only those two so far. For bi-silicate there are rules and tests and stuff and you are supposed to have your glaze tested annually for lead release but as long as your pots pass the test then they are fine to sell for tableware.And Ron, er yes kiln plan. . . build one, thats my plan!